I have long bemoaned the “standard Ubisoft open-world game” that we've seen in most of the Assassin's Creed games, Watch_Dogs, and even The Crew. Far Cry is no exception to this pervasiveness, with Far Cry 3 and Far Cry 4 acting as prime examples. Too often, the vast number of petty tasks and collectibles fight for attention against whatever story these games are desperately trying to tell. On top of that, the sheer length and frequency of these beasts, left me with genre exhaustion. That's when I heard about Far Cry: Primal. To me, the idea of Far Cry (which has traditionally been about first-person, mildly-stealthy shooters) quite literally going back to the Stone Age was very intriguing. I thought that it would make for a great Blood Dragon-esque $15 stand-alone. Then I learned that it was going to be a $60 game, and suddenly got very nervous. The idea of another full-fledged Ubisoft open-world game so soon was just not appealing to me. Since I remain part of the problem, I went ahead and -- despite my misgivings -- bought it anyway. As I played, my fears of another tired, drab, paint-by-numbers Far Cry experience were allayed. While there's no doubt that Far Cry: Primal is a tried and true Far Cry game, it demonstrates that there is merit to Ubisoft's signature open-world that has been overlooked until now. 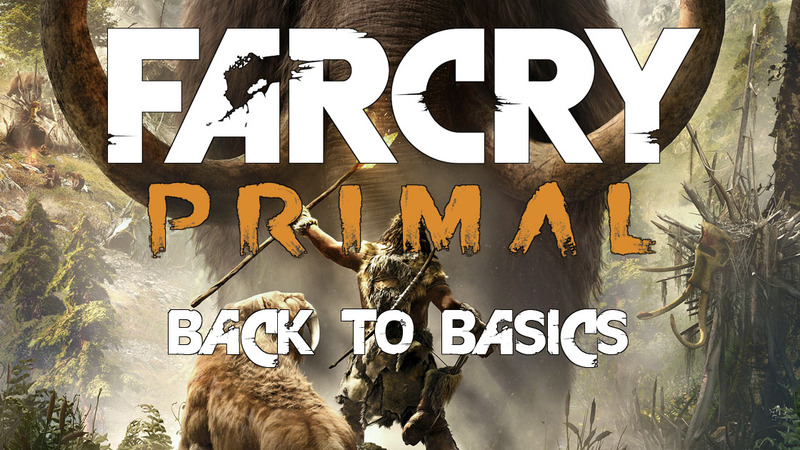 The story of Far Cry: Primal almost hearkens back to the days where the plot to a video game was merely an excuse to go through the levels. The player character is a warrior from a tribe from 10,000 BCE. His clan is at war with the other two tribes in the region, a Northern cannibal clan that utilizes poison, and a group in the South that specializes in the use of fire. As the leader, the player character needs to strengthen his tribe and himself so that he can take out the leaders of the other two clans and claim the land of Oros, and its resources, for his people. In terms of the main story, that's it. Once the beginning tutorial sections are complete, the world opens up. At that point, by completing only a few mandatory missions, the player could, if they choose, almost immediately take out the other leaders and complete the main story. That said, doing so is extremely difficult, and most players won't be able to beat them with the equipment and skills they start out with. They must first grow stronger, and get to the point where they can comfortably defeat these chieftains. By participating in the open-world, players can acquire the experience, resources, and friends necessary to completing their ultimate objective. Naturally, as a Far Cry game, the moment the world opens up, the map and UI reveal a ton of optional quests and objectives. By completing them, players earn experience and skill points. By spending skill points, they acquire new perks and skills and grow that much more capable. Though aside from the first few skill trees, most are locked from the start. Among the many quests and events in the world are fellow tribesman who have been separated from the main group. Each of these tribesman specialize in a specific area, like hunting and craftsmanship. Once the player finds them and solves whatever problem they have, these specialists will relocate to the player's village. At that point, they will train the player in their talents, unlocking their skill tree in the upgrade menu. More than skills, they also teach the player how to craft tools and weapons. Of course, knowing how to build them is one thing, but having the materials to do so is another. Building these items requires the player to scavenge and hunt for items like wood, stone, clay, and animal hides. Those who have play previous Far Cry games are probably not surprised by this. Ubisoft has been using variants on these same mechanics for several years now. What separates Far Cry: Primal from the rest of their catalog is not the mechanics themselves. Rather, it is how they interact with each other and come together. In other Ubisoft games, every element of the game is fighting for an ounce of attention. The story, the side quests, and the collectibles are all wholly distinct entities. None of them come together and they all demand that the player takes time away from the other elements to devote to them. As much as I praised it, Assassin's Creed: Unity had that problem in spades. There were so many objectives on the map that it was often hard to spot the architecture underneath the symbols. This isn't the case in Far Cry: Primal. Rather than compete with the other elements, the story frames them. By presenting these two bosses as the ultimate end-game opponents, Primal immediately encourages players to acquire the skills to defeat them. Since these skills and are locked behind the specialists and reconstruction of the village, the first instinct will be to gather resources and recruit these experts. It is by allowing the story to exist largely in the background for most of the game, as this looming challenge to undertake, that the open world and the tasks within it are actually given their chance to shine. More importantly, every element comes back together with the others at some point. By recruiting each expert, players unlock skills to purchase and items to craft. Unlocking new skill trees gives an incentive to travel the world and earn experience, and crafting gives a similar incentive to gather materials. The items and skills acquired then enable the player to tackle tougher challenger, until they are finally able to take down both rival tribes and end the game. Instead of fighting for the player's attention, each element of the game reinforces the desire and need for the player to engage with the other elements. This sense of design cohesion makes Far Cry: Primal a much stronger game than the previous two entries in the franchise. The importance of all these elements coming together only occurred to me about 10 hours into my playthrough. At this point, I had finally worked up the courage to journey North and defeat the cannibal leader. That’s when I realized that this boss fight was the first genuine piece of main story content I had encountered since the beginning of the game. If this was some other Ubisoft game, like Watch_Dogs, I would have been livid. Even though the side content exists for players to experience it, spending that much time without making forward progress would feel like a waste to me. That’s why in most of these open world games, I usually skip most of the side content, choosing to mainline the campaign. If I do optional objectives, it’s almost always in service of making my trek through the very next story beat easier, usually by revealing part of the map. But I wasn’t angry. In fact, I looked back on those 8 or so hours of wandering Oros fondly. Everything I did felt like it had some purpose in preparing me for this, one of my 2 ultimate foes. And not only did I enjoy my time doing all of these tasks, but I was more engaged with them then I ever was in previous Ubisoft games. Before, I was actively avoiding the Shangri La hallucinations and stoner missions in Far Cry 4, or those accursed Eagle Feathers in Assassin’s Creed 2. Here, I was looking, actually looking, for animals to hunt, people to recruit, and things to do. This might not sounds like a big deal, but it’s more than I’ve gotten out most of the needless, pointless crap that litters so much square mileage of Far Cry: Primal’s ancestors. I don't expect, or even necessarily desire, for Ubisoft to do what they did in Far Cry: Primal very often. Having an overarching story that frames the gameplay more than it stands out on its own works well in the context of primitive man fighting over resources in the Stone Age, but not so much other eras with more complicated themes and people. Having said that, Far Cry: Primal feels much more like a coherent whole than many other Ubisoft games. My final playtime was roughly 19.5 hours according to my save file, but that time was more fruitful and interesting than many of the 40-50 hours experiences I have had in the likes of Assassin's Creed, Watch_Dogs, and other Far Crys. Ironically, this caveman game is the most developed Ubisoft open world I've seen in a long time.